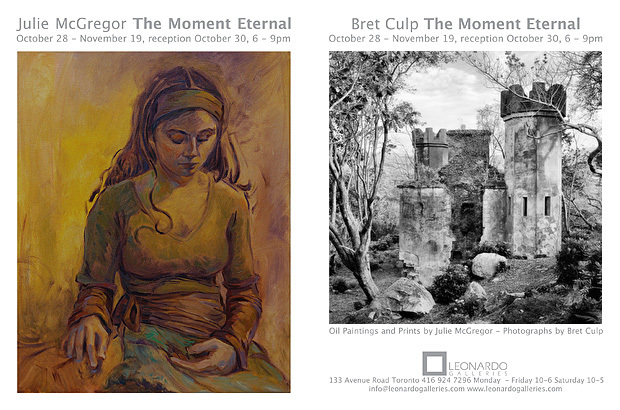 Captivating new work by Bret Culp and Julie McGregor focuses on intimate moments that express a quietness of spirit. Culp’s poetic black and white photographs of Tuscany and Ireland reveal the beauty of impermanence. McGregor’s emotional portraits and romantic images of Italy capture longed for moments in time.